This is a very simple and healthy hummus that you can make in five minutes. 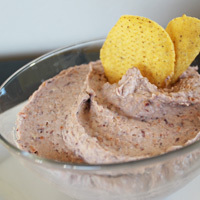 Some of the traditional chickpeas are replaced with black beans in this recipe, making a more versatille hummus for a wider variety of meals. Let's just say this hummus can hold it's weight at a football spread and still has enough charm to accompany a wrap or satisfy the most high class pita dippers. Who says you can't have it all? 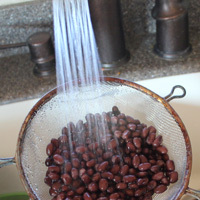 Rinse beans. Add salt,pepper, beans, and garlic to a food processor fitted with a chopping blade. 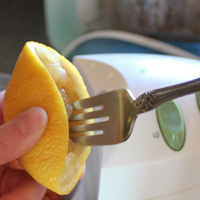 Use a fork or citrus reamer to get all the juice out of the lemon. 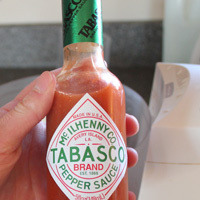 Add a dash of hot sauce. While the blade is spinning, drizzle in olive oil until the hummus is well incorporated. It shouldn't be too thick or too thin. Taste for salt. 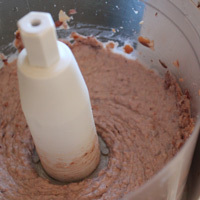 Add salt, pepper, beans, and garlic to a food processor fitted with a chopping blade. Use a fork or citrus reamer to get all the juice out of the lemon. Add a dash of hot sauce. While the blade is spinning, drizzle in olive oil until the hummus is well incorporated. It shouldn't be too thick or too thin. Taste for salt.